Friday, your on my mind! This is a short post due to the fact that life is happening in a very fast manner. Its Thursday afternoon and I need to make sure that the kids have completed their homework contracts for the week and that Amy, our eldest, needs to have her project done which is to go to school completed with her tomorrow. It seems that I am co-ordinating this project! 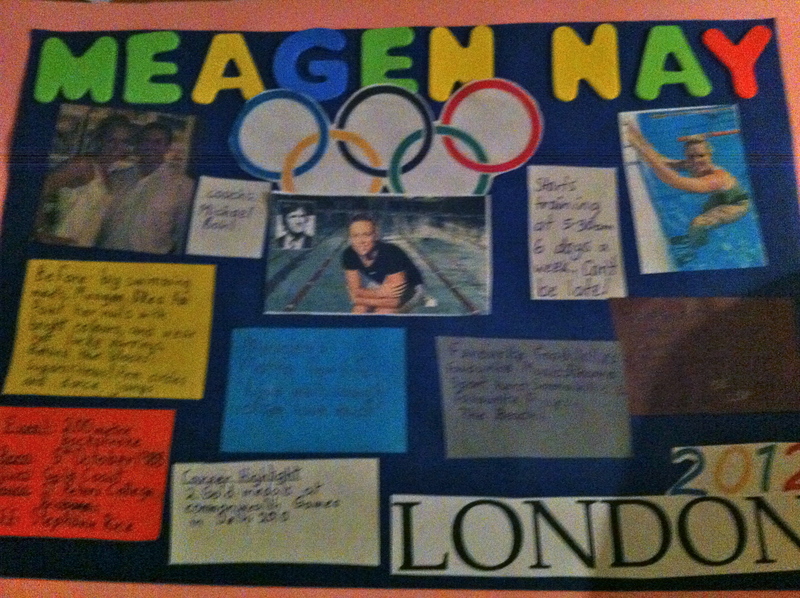 I am trying to get Ames to think outside the box and come up with some of her own ways to present her poster on Meagen Nay. Our printer has decided to play up and so I need to email the information to Dad to have him print out before he comes home. Oh Friday, you are on my mind today! I feel as though I have a weeks worth of work in this afternoon and I have worked pretty hard all week, so this is not a good thought at all. So far this week I haven’t done anything mischievious….so this mischievious mum feels a little lost without a cause. Its literally been all work and no play! Here is the photo of Amy’s completed project.